The team behind Issue Matrix developed three new powerful features that significantly expanded the existing product capabilities. Error-free creation of relations between objects: ability to create and link issues with predefined configuration within panels with separate semantically related actions. Issues contextualization: ability to contextually link issues based on a system (e.g., same reporter) or custom (e.g., labels) value field. Issue categorization: a color-coded mechanism which enables you to identify particular issues in an Issue Matrix field quickly. Two new features that will make the management of multiple teams a child’s play! Cycle Control‘s powerful tracking and detection capabilities now enable managers to identify risky dependencies and take actions in advance quickly. 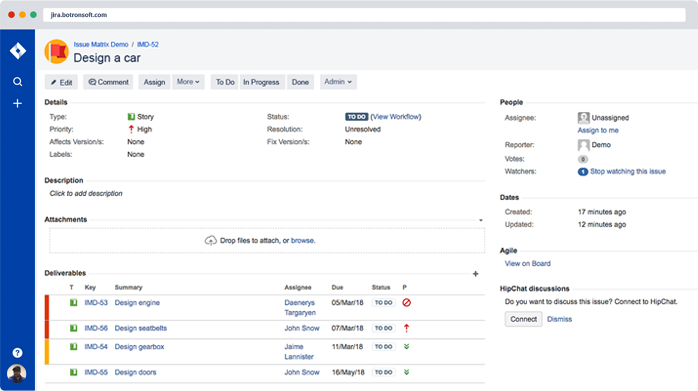 Your teams are no longer bound to use the out-of-the-box terminology of Cycle Control – you can rename each object to fit the terminology of your existing processes. Botron Software's experienced Products & Services teams have a strong knowledge of all products, business processes, known issues, and workarounds - we guarantee the quickest time to resolve your issues! 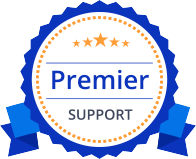 Our Premier Support package adds a personalized, tailored to your use case support during convenient for your team business hours.